Swimming With Maya: A Mother’s Story is a memoir that has been called "heartbreaking and heart-healing," Eleanor Vincent shares an inspiring true story of courage, creativity, faith, and sheer tenacity as she seeks to find balance after unthinkable tragedy. Previously available only in hardcover, Swimming with Maya demonstrates the remarkable process of healing after the traumatic death of a loved one. Eleanor Vincent raised her two daughters, Maya and Meghan, virtually as a single-parent. Maya, the eldest, was a high-spirited and gifted young woman. As a toddler, Maya was an angelic tow-head, full of life and curiosity. As a teenager, Maya was energetic and independent, and often butted heads with her mother. But Eleanor and Maya were always close and connected, like best friends or sisters, but always also mother and daughter. Ultimately, Eleanor chooses to donate Maya's organs. Years later, in one of the most poignant moments you will ever read about, Eleanor has the opportunity to hear her daughter's heart beat in the chest of the heart recipient. Along the way, Eleanor re-examines her relationship with her daughter, as well as the experiences that shaped Eleanor as a woman and as a mother to Maya. Swimming with Maya: A Mother’s Story is available as a print and e-book at Amazon, Barnes & Noble, and IndieBound. To win a copy of Swimming with Maya: A Mother’s Story, please enter using the Rafflecopter form at the bottom of this post. The giveaway contest closes this Friday, October 18th at 12:00 AM EST. We will announce the winner the same day in the Rafflecopter widget. Good luck! Eleanor Vincent is an award-winning writer, and current New York Times Best-Selling Author whose debut memoir, Swimming with Maya: A Mother’s Story, was nominated for the Independent Publisher Book Award and was reissued by Dream of Things press early in 2013. She writes about love, loss, and grief recovery with a special focus on the challenges and joys of raising children at any age. Her essays appear in the anthologies At the End of Life: True Stories about How we Die (edited by Lee Gutkind); This I Believe: On Motherhood; and Impact: An Anthology of Short Memoirs. They celebrate the unique and complicated bonds between mothers and daughters, making hard decisions as a parent—whether your child is 14 or 40—and navigating midlife transitions with grace and authenticity. She lives in Oakland, California. WOW: Eleanor, Just the fact that you were able to move forward in life is remarkable, but then having the resilience and determination to share your story is quite amazing to me. Who or what do you credit as being the most influential in your life when it comes to your positive outlook and your ability to see the positive things instead of dwelling on what you cannot change? Tell us a little bit more about how you came to be where you are in life. Eleanor: Resilience is mysterious! For me, it’s a combination of divine grace and luck of the draw. I’ve always been an optimist. Even when I was in the midst of horrible grief, I somehow knew I’d come through it. My influences are many. First and foremost my parents, especially my father. Both my parents were professional actors and Dad’s motto was “The show must go on.” Even under trying circumstances, my parents expected me to go out and do my best. I saw both my parents do this against tough odds so I picked it up early. I learned to find humor in almost any situation. The saying “Tragedy plus time equals comedy” rings true for me. While I can’t quite get there with Maya’s death, I can remember plenty of other difficult experiences and laugh about them. Humor figures in some parts of Swimming with Maya, and in almost everything I write there is always a dollop of irony. I try not to take myself too seriously! In my early 30s I was introduced to “New Thought” philosophy, and became a member of the First Church of Religious Science in Oakland, California, where I still live. Rev. Margaret Stortz became my spiritual mentor and teacher, and remains a good friend and advisor to this day. With Margaret’s guidance, I learned to step back and witness my own negative thinking and take action to change it. Since I was naturally geared in that direction, the whole philosophy of the power of our thoughts made total sense to me. In addition, over the years, I’ve been influenced by various therapists and by self-help movements such as Al-anon, and other 12-step groups. I do believe there is a power in the universe greater than I am and the more I surrender and “listen” for guidance, the better my life flows. I practice meditation, yoga, and mindful walking in nature. I also dance, and that really raises my energy and brings me joy. I try to do something fun every day. Being a parent made me even more resilient. To be a good mom, I think you must learn to roll with the punches. Otherwise, you’ll go crazy. I believe love is the strongest force on earth, so Swimming with Maya is a book about love in all its many forms. Love—of life and people—makes me resilient. WOW: I love your answer and may just quote you in the future, "resilience is mysterious"—I love that! As a mother, your story terrifies me and your strength astonishes me. I have small children who ride horses and I myself am a horse lover. What position do you take when it comes to horses or any type of potentially dangerous family activities? Eleanor: This is an interesting question. I think I encouraged Maya to be too fearless because I did not want her to be raised as a stereotypical girl with any kind of prescribed gender limitations. And she was naturally a thrill seeker. She was not riding with any equipment—no saddle, bridle, or helmet. She was just out larking around. It was a totally freak accident. As parents, if we teach our children to assess risk and take appropriate precautions, we are doing our job of protecting them. This translates to wearing seatbelts, not drinking and driving, wearing helmets while horseback or bike riding, and so on. It does not mean hovering over your kids and preventing them from taking any risks. Life is risky. We can’t and shouldn’t stop our children from living fully, but we can teach them to take risks judiciously. My other daughter, Meghan, was a much healthier risk taker than her sister. This also raises the question of control. Swimming with Maya takes a deep dive into this topic. Maya’s accident and death forced me to confront all the ways in which I could not control her life or her choices, and by extension, other things over which I may have influence, but no control. I had to learn to let go of the fantasy of control and that was profoundly unsettling but also very liberating. WOW: I completely agree about teaching our children to assess risks—for small children, it's about discussing consequences of their actions and guiding them to make educated decisions. I would say you are never too young or too old to make good decisions. One of your speaking topics is ‘making hard decisions as a parent’ and I know we have readers with children of all ages, so can you give us a few key points about making these hard decisions and why as mothers, it’s so important that we take the decision maker role with our children? Eleanor: Simply put, because we are older and wiser. It is the job of each generation to teach and guide the next. That said, I think it’s a job we need to approach with a lot of humility and openness to changing our minds when that is appropriate. No parent can always “know best.” Sometimes just admitting that we don’t know the answer can be a great lesson for our kids. There is a scene in Swimming with Maya where I describe sitting down with Maya and admitting that I’d taken a wrong turn as a parent and that I needed to make some changes. I needed to stop trying to bemy 16-year-old’s best friend, and start setting some limits. Difficult as it was to do, that course correction made a huge difference for Maya’s future and for our relationship as mother and daughter. I needed to grow up as a parent and lay claim to my own authority. It was a turning point. WOW: You are so wise; there is a fine line between parenting and friendship, and thank you for sharing your thoughts and wisdom. You’ve been involved with grief work for over twenty years; why haven’t you burned out and what advice can you give others on how to stay smiling and hold on to your laughter? Maya. Grieving takes huge amounts of energy. I was determined to go all the way to the bottom of my grief. There was no way I could write, grieve, raise Meghan, work my 9 to 5 job, and live my life all at the same time. Sometimes, we have to sequence our activities and make hard choices. I took breaks from grieving and from writing. No one can live at that level of intensity all the time. Self-care was huge for me. To keep from burning out I had to pull back, spend time in nature, do body work, dance, or just putter around my house dusting and listening to music to keep from going insane. Six years after Maya died, I took a solo vacation to Hawaii, a week to snorkel, lie on the beach, swim laps in the pool, read, and stare at the sunset. That’s just one example of a major way I took care of myself and avoided burn out. As women, if we give our all to others and don’t take time to nurture ourselves, we will burn out. So my advice is to do something nice for yourself every day. That will make you a much happier person, someone who is giving from a well of joy and gratitude instead of burn out and resentment. My grandmother always said there were two essential things in life: your health and your sense of humor. Lose those, and what do you have? So at times when I felt I was in danger of losing my capacity to laugh, I took action. I watched a funny movie or read a funny book or got together with a witty friend. Life is too short not to laugh! In times of grief or stress, laughter is even more important. WOW: You certainly walk the walk—I was glad to see you taking in a ballgame (or two) this past weekend while also celebrating what would be Maya's 41st birthday. You've really got the balance and the laughter emphasis figured out! Eleanor, there may be readers who just aren’t ready to read Swimming with Maya because it sounds too sad or they aren’t ready to face some of the topics in the book; what would you say to them given the opportunity? Eleanor: Man up! Just kidding. A little. We all lose people we love. Sooner or later in every life, grief becomes unavoidable. Thankfully, not everyone will lose a child to death. But there are other, worse ways to lose children—to drug and alcohol addiction, to religious cults, even to peers who are a bad influence. I’ve learned that death is not the worst thing, not by a long shot. It is very freeing to face your worst fear and discover that you can move beyond it. That said, if someone really doesn’t want to read Swimming with Maya, far be it from me to force them. My book is about life. The triggering event is a death but the overall book is about how to survive and even thrive after a terrible loss. Swimming with Maya is not a depressing book, but it is a challenging one. In the end, it’s very inspirational and, in fact, it’s doing extraordinarily well in the “Self-Help, Motivational” category on Amazon. So give it a try. Keep tissues handy but know that you will also laugh and hopefully find some wisdom you can use in your own life. WOW: I was one of those people who was hesitant in the beginning, but you're right on about "manning up" and I am glad to have the opportunity to read and review Swimming with Maya. Your granddaughter Lucia is 3 and I’m wondering how you feel your history with Maya has affected the way you grandparent. Can you share a little bit about your relationship with Lucia and how it may be similar or different than the relationships with your own children and why you feel it is the way it is? Eleanor: My history with Maya is woven so deeply into the way I approach life, of course it is a huge influence on me as a grandparent. First and foremost, I am just so grateful for this precious little girl. I know that life can be over in a moment, so I don’t take any moments—or people—for granted. I treasure the time I get to spend with Lucia. I’m fortunate to live 5 minutes away from my daughter and her husband, so I am a very involved grandma. Typically, I spend one evening a week with Lulu, and have her stay overnight on weekends at least once a month. I also take her to special events on weekends, and we have a family vacation each year. As any grandparent will tell you, this is the “bonus round.” You get to love them, observe them, spoil them (within bounds), enjoy them and hand them back. I am so much more relaxed as a grandparent than I was as a parent. As a single mom, I had a task list a mile long. I made a point of taking family vacations and enjoying my daughters, but I can say for sure that being a parent is a huge responsibility. I found that stressful, at times. As a grandparent, I am more present and a lot less stressed. Having fun is a huge focus for me as my life has moved along. Kids just naturally know how to have fun. Being with Lulu means play time. Even at her age (she turns 4 in November) she is very witty, and that reminds me a lot of Maya. Maya was very precocious and outspoken, and Lucia is exactly the same. You are never in doubt about where she stands. She makes her opinions and feelings known. I love spunky little girls. So I hit the jackpot! My second granddaughter, Francesca, was born in late July, so I am having a blast with these little girls. WOW: Congratulations on two little bundles of love and energy—this explains how you stay young at heart! In addition to loving little girls, I believe you’re a cat lover? What role do animals play in your life when it comes to maintaining a positive outlook and do you recommend pet therapy to some of the individuals you work with in the area of grief counseling? Tell us more! Eleanor: Cats are awesome. Especially neutered males who get a lot of affection as kittens. They are more like dogs. My two cats, Odie and Saffron, follow me around and never miss an opportunity to sit on my lap and purr like maniacs. My dearly beloved Oliver, who figures prominently in Swimming with Maya, was very instrumental in my grief recovery immediately after Maya’s death. Ollie would look at me with such affection and when I cried he never shied away but would come and sit on my chest and comfort me. He was very intuitive. He was with me for 19 years. We had a very special bond and I miss him. I absolutely recommend pet therapy—dogs, cats, bunnies—whatever you find cuddly and comforting. Animals are totally nonjudgmental. They will never tell you to “get over it” or “move on,” or any of the other silly things humans say. They are capable of simply being. We can all learn from them. Eleanor: Pass on the pig wrestling. However, most weekends you will find me Zydeco dancing. Zydeco is the Afro-Caribbean side of Cajun music, very rhythmic and very aerobic. It is partner dancing and involves a lot of turns, depending on how skillful your partner is. I defy anyone to listen to Zydeco music and not get a big, goofy smile on his or her face—it is happy music! My favorite local band, the Zydeco Flames, has a website where you can hear some of their classic tunes. I guarantee a rockin’ good time. WOW: I'm going to have to look into that—thank you for the explanation because I can honestly say that here in the middle of Wisconsin at least, I hadn't heard of Zydeco Dancing before! Eleanor, what’s next for you? You don’t seem the type to go long without a project so what are you working on? with fictionalizing it. That would free me up to make the story even more outrageous than it already is! I’m also working on a series of essays about my father who died in March. He was an amazing and powerful personality and had a huge influence on me, not necessarily all positive. We had a difficult relationship, which we largely healed during the last 15 years of his life. Dad became a kinder, gentler version of himself. So in these essays I’m playing around with many of the same themes as in Swimming with Maya—how to heal relationships and move past loss. In a word: resilience. So we circle back again to your first question! And, of course, I continue to promote Swimming with Maya. I love all the new virtual ways of interacting and talking about topics that are dear to me. Thanks so much for hosting my blog tour and making it possible to engage with more readers! WOW: Well, thank you for contacting WOW! and letting us be a part of your virtual family. I know I am also very excited about your tour and can't wait to learn more about you and Swimming with Maya along the way! Eleanor Vincent offers a giveaway for her parenting memoir Swimming with Maya and Elizabeth provides an honest review of this moving book. Steph reviews the best selling motivational memoir, Swimming with Maya by Eleanor Vincent and offers a giveaway of this touching and inspirational story of loss. Join Eleanor Vincent as she gifts readers with her insight on "Parenting a Gifted or Difficult Teen" and offers a giveaway of her memoir Swimming with Maya. Eleanor Vincent visits with Meryl Evans and speaks about her experience and offers insights about "Reaching Out to Readers on Social Media" as well as offering a giveaway for her moving memoir Swimming with Maya. Join memoir writer extraordinaire Eleanor Vincent as she shares insights about "Balancing Writing with Promotional Activities" and offers a giveaway for her incredibly moving memoir Swimming with Maya. Eleanor Vincent shares her insights into "Resilience" as she visits Anjanette Potter at Book Worm. This great stop also offers a giveaway of Eleanor's touching memoir Swimming with Maya - this is a stop you won't want to miss! Eleanor Vincent talks about "Motherhood Then and Now" and offers a giveaway of her memoir Swimming with Maya. Don't miss this blog stop or this unforgettable story of love! Swimming with Maya makes a WOW! Blog Stop at Memory Writer's Network. Don't miss this opportunity to learn more about Eleanor Vincent and her moving memoir. Eleanor Vincent shares her insights into "Resilience" as she visits WOW! 's ownCrystal Otto at Bring on Lemons (a blog about turning lemons into lemonade). This great stop also offers a giveaway of Eleanor's touching memoir Swimming with Maya - this is a stop you won't want to miss! Join Eleanor Vincent as she shares a guest post "Surviving the Unthinkable Loss of a Child" with Lisa M. Buske and offers a giveaway of her memoir Swimming with Maya. 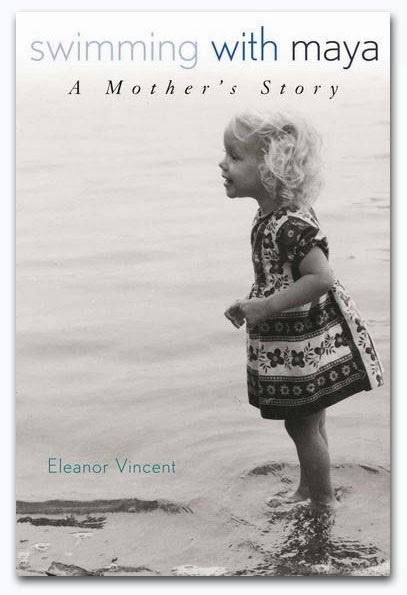 Nichole Smith reviews Eleanor Vincent's moving story of a mother's love in the memoir Swimming with Maya and offers not only a giveaway of this unforgettable book but also a guest post by Eleanor about "Organ Donation and Transplantation" (from the perspective of the donor family). 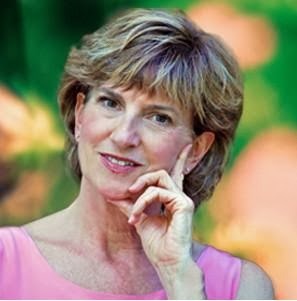 Join Eleanor Vincent as she talks about the importance of journaling when it came to writing her memoir of love and loss. This is also an opportunity to participate in a giveaway for Vincent's memoir, Swimming with Maya. Eleanor shares with readers "What Every Memoir Writer Should Know" and offers a giveaway of her touching memoir about loss, love, and moving forward: Swimming with Maya. Book Giveaway Contest: Enter to win a copy of Swimming with Maya: A Mother’s Story Just fill out the Rafflecopter form below. We will announce the winner in the Rafflecopter widget THIS Friday, October 18th. This looks like a fascinating book!